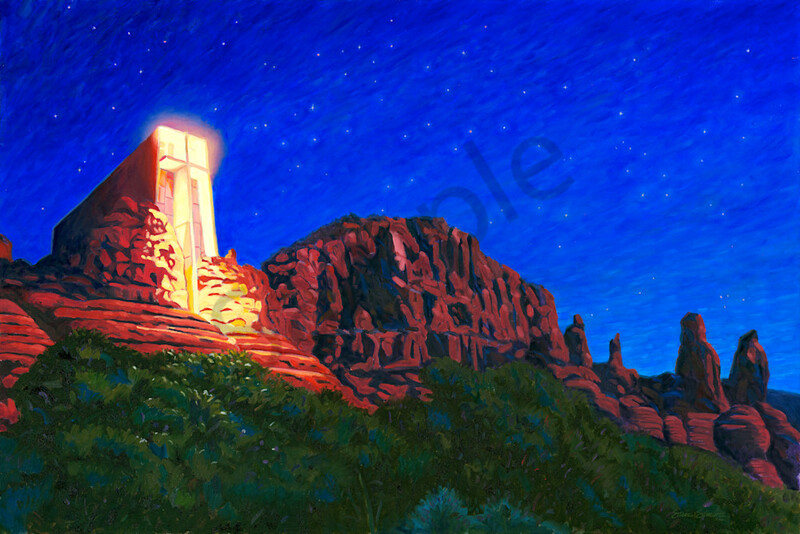 Original oil painting of the Chapel of the Holy Cross. The Roman Catholic Chapel is one of Arizona's most visited landmarks. Designed by Marguerite Brunswig Staude, a pupil of Frank Lloyd Wright, the Chapel was completed in 1956.